Some days back, Trezagah cracked his fellow Housemates up when he told them that he didn't know what he was supposed to do in the Big Brother house. Now he has also disclosed to Africa that he thought he had come for a vacation. When asked what he thinks housemates don't know about him, in his diary session this afternoon, the Mozambican told Biggie that after learning which kind of game he is playing, he learned to be a good listener and observer which is helping him to learn a lot. A few days back, Housemates laughed their heads off when Samantha revealed to them that Trezagah never knew what the game was all about until the first eviction. 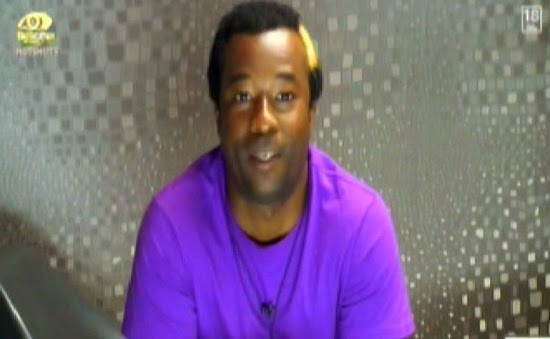 He had no idea what nominations and eviction were and was even wondering where housemates go after exiting the house. Thank God that in his own words, he has reveled it that he had never watched the show before and had no idea what kind of game he had to play. So, for those looking for a real character with no strategy and game plan, count on Trezagah the rapper. Any words for him?